If SOUTHEASTERN was the ladder to self-actualisation, then SOMETHING MORE THAN FREE is the platform at the peak. 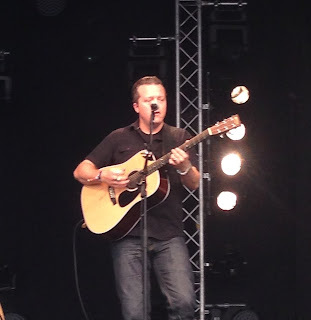 Not that it is easy or wise to compare the latest two albums of Jason Isbell as they were written in separate phases of his life. However the new album’s title, and subsequent track, takes a philosophical look at freedom and questions whether we all need something more than its absolute format. This is just one of many fascinating facets from an outstanding and regal album that sees Isbell seal his position as the pre-eminent songwriter in American music. Teaming up again with producer Dave Cobb has paid dividends and what a portfolio of albums he is developing if you throw in METAMODERN SOUNDS IN COUNTRY MUSIC. While the band element adds spice to many of the eleven tracks, this is essentially another Jason Isbell solo effort, or perhaps heading in a duo direction if you count the influence of Amanda Shires, both on the ever present fiddle and as a wider stabilising force. There are reams of autobiographical content to the album of which snippets have been revealed in the pre-launch press, no more explicit than in the Stereogum interview. This adds an extra dimension to trawling through the lyrics of the album which unveils a treasure trove of literary selfdom for those motivated by the intrigue of song. Track-wise, the album possesses endless appeal with the high quality opener ‘If It Takes a Lifetime’ showing the Nashville hierarchy that you don’t need to write great country songs by committee. While Isbell’s music is bound only by the influence of his Alabama roots, one could foresee a full on country album surfacing in the future to lift the genre into a new stratosphere. Likewise, there is a streak of soul to be found in the album, especially on the track ‘The Life You Chose’, and once again with his Muscle Shoals roots and influence this could be developed in the future. Of course Isbell is famed for his southern rock tendencies as exemplified in his work with the 400 Unit and as a key member of the Drive By Truckers. ‘Palmetto Rose’, an ode to his fellow southern city of Charleston, is the album’s archetypical rocker and flagbearer for his trademark upbeat sound. 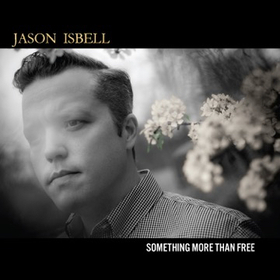 The title track ‘Something More Than Free’ is at the forefront of the autobiographical content as Isbell explores the concept that total freedom can be a dangerous environment and ‘Children of Children’ sees him delving back further into the annals of his past. Of course every great Americana record has some kind of reference to society away from the great metropolis’s and Isbell’s contribution is the supreme effort ‘Speed Trap Town’, perfectly summing up the ‘trappings’of his own upbringing environment. Lyrically, Isbell thrills the analysts with the chorus line of ‘You thought God was an architect, now you know/he’s something like a pipe bomb ready to blow’ from the imperial second track and lead single from the album ’24 Frames’. If you’re looking for an inspired tale, ‘Hudson Commodore’ will appeal and this is perhaps another aspect of the concept of freedom being explored. ‘Flagship’ is your right on the mark typical Jason Isbell modern mode of acoustic song delivery, while ‘How to Forget’ is a gentle reminder that amongst the barrage of insightful lyrics, he can also master the killer melody. This just leaves the concluding track ‘To a Band That I Loved’ to comment on and maybe the redeeming feature is its similarity to ‘Cover Me Up’ which classically opened the previous record. It probably won’t need too much imagination to reveal the band that he loved, but much pleasure is derived from pondering the meanings of the writing. While the troubles of his past are well documented, the notion that ‘genius is the phoenix of desperation’ is no better exemplified than in SOUTHEASTERN and now SOMETHING MORE THAN FREE. Jason Isbell has arrived at a place of solace and a fruitful future is very much in his grasp to more than match his respected past. This is not just an album for the present, but one with the golden legs of longevity.